Successful financier/investor Sinclair spent years questioning successful people about their methods, habits, and rules of behavior. 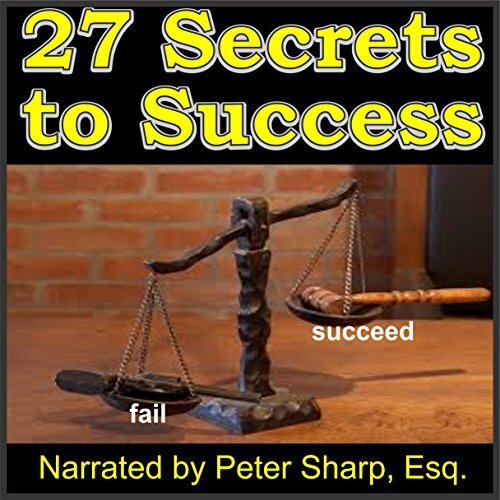 This book is the culmination of those interviews, and he presents the surprisingly simple ways that any person can attain success, all filtered down to 27 rules. This is the perfect book for anyone who has worried about not having a life direction to take for self-improvement. Unlike other 'success-orientated' guides, this one contains rules of behavior that do not require an investment of anything more than your time and efforts, and will teach you how to gain the respect and admiration of your peers. Mr. Sinclair directs you how to mold your behavior and personality in such a way that every opportunity to attain success in your selected field can be reached easier than you thought possible.